Come see how this Apex Ultra-Lite will fit your camping family! 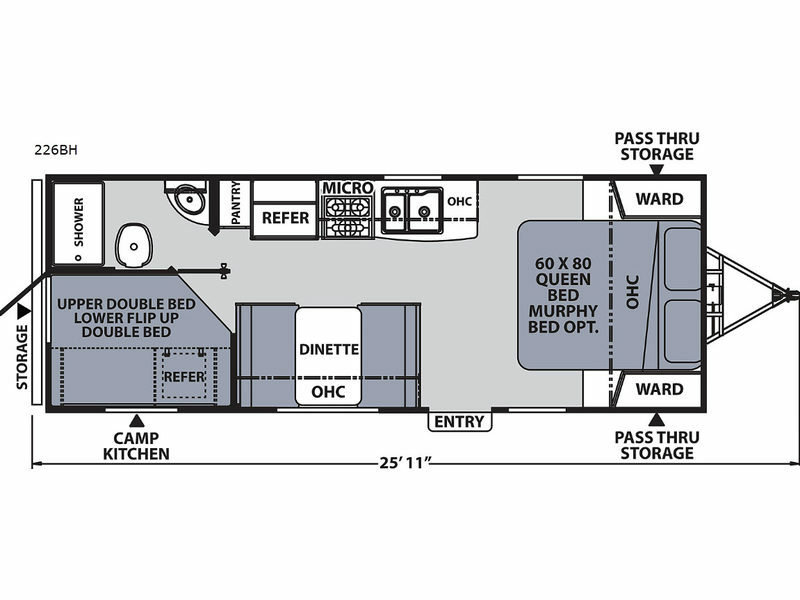 From the double size bunk beds with storage below for the kiddos, the queen bed or optional Murphy bed with a front window for more nature light inside when waking up in the morning, to the booth dinette once folded down for the evening, you can sleep seven comfortably. The kids can help cook meals inside with full amenities, or outside on the camp kitchen while you supervise and relax under the awning. After dinner everyone can walk around the campground, roast marshmallows over the campfire, and get cleaned up for bedtime in the rear full bath. It's time to start camping tomorrow in this travel trailer!